Please feel free to contact any of my references directly. Just simply email me for their phone number and I will get right back to you with it. I specialize in delivering a high quality of Customer Service, while staying dedicated to your specific needs and being knowledgeable of the Metro-Atlanta Real Estate Market. After 3 months with another Real estate company, 2 open houses and lots of talk, you sold my house in 3 weeks. It allowed me to meet the deadline to close on my new house. If I had missed that, it would have cost me $7,000. Great Job! It is obvious why you are in the “top 10” in Atlanta! We had a really good experience selling our home through Dawn Realtors. It was our first time and kind of overwhelming. We hit a few bumpy patches along the way, but they were so good at walking us through it. They were so patient with us and helped us through all the stressful times. Couldn’t have asked for a more pleasant experience. Thank you so much ladies for all your hard work! I hired Dawn Realtors to sell my condominium in Atlantic Station. Dawn made the process so simple and they worked diligently until the closing. We had the condo under contract within 2 days. They priced, listed, staged, advertised, negotiated and closed the condominium for me and have demonstrated a high degree of professionalism, courtesy, experience, and extremely knowledgeable about the area. Without Dawn, I seriously doubt the contract would have closed as of today. We exchanged 149 messages on line and working through issues on the buyer side. I recently engaged Dawn Realtors to assist me with selling our family home in Milton, GA, which had been leased for the prior 3 years. Thanks to the advice and assistance provided by Dawn – which included recommendations on kitchen renovation, painting, floor refinishing, plumbing fixtures, and style updates to match current market trends, our home was under contract 3 days after listing, with a sales price at more than 99% of listing price. Dawn and her team were instrumental and always available to assist with decisions needed during the pre-listing preparation period, and provided recommended contractors to complete a number of the projects required. Once the house was ready to list, Dawn staged the home, creating a warm and inviting feeling, even though the house was not furnished. She also performed a thorough walk through – in order to recommend an appropriate listing price based on recent resales, active competing listings, and the feel of the completed remodel. I highly recommend Dawn and her team. This was the second home sale she assisted with, in addition to the purchase of our current home and lease of the home just sold in Milton. Dawn Realtors was straight forward and competent. I appreciated the weekly updates on progress of showings and needed adjustments to strategy. The internet coverage was great, staging creative and follow up on all the details thorough. I know we had to move fast so attention to detail and choice of closing law firm was good decision. There were no surprises and only issue was mine to deal with. It was a pleasure dealing with Dawn Realtors. They are a credit to their profession. I recently worked with Dawn Realtors to purchase a home in Canton, Ga. I have nothing but great things to say about these ladies. From start to finish they worked around the clock to help me get financing, find a home, and close the deal. Without Dawn Realtors I honestly don’t think the deal would have gotten done, they were constantly on the phone making sure All my ducks were in a row. They literally kept up with everything so I had nothing to worry about. They even went to the extreme of pulling friend cards to help me get last minute inspections done on items I was worried about. They truly are there for you whenever you need and thoroughly go through everything you may be concerned about or don’t understand. They do everything they can to get you the best deal on your dream home. The great thing is the help did not end at closing, I needed various things done at my new home Dawn Realtors had just the list of people to help me get it done affordably. I would recommend them a million times over!!! Working with Dawn Realtors was such a pleasure. They put my house on the market and I received a great offer within a week and a half. I thought selling my home would be so overwhelming and frustrating but they totally made it such breeze. I cannot wait to work with them again on purchasing a new home for me and my family. I hired Dawn Realtors to sell an investment condominium for me. Dawn made the process so easy for me. They staged the property so it showed beautifully. We had the condo under contract within the first week for nearly asking price. I had a few difficult title issues during the process and Dawn handled the issues seamlessly. It was great to have such knowledgeable and experienced realtors on my team! Great experience working with Dawn Realtors…lots of personal attention and good feedback on showings. “Dawn is a class act. Her personal touch and energy are unmatched and she always had a solid feel for the local market. We can’t imagine anyone doing a better job selling our home in this difficult market. “Dawn’s enthusiasm is contagious! You can tell from meeting her for the first time that she really loves what she does. She’s a very hard worker and always goes the extra mile for her clients. Dawn sold our house in 2005 and she made a complicated process easy to understand and a lot of fun. She always has patience and a positive attitude. I would recommend Dawn, not only because she’s a great real estate agent who knows what she’s doing, but also because she really cares about the people with whom she works. Plus, she does her job with a smiling servant’s heart”. I hired Dawn in March of this year to list my house at 7000 Riverside Drive and within two months received an aceptable offer which subsequently went under contract. She worked very hard and tirelessly marketing our home and getting it ready to sell. I would recommend her to anyone, especially if you are trying to sell a home priced more than $1 million. Dawn delivered an exceptional quality of customer service. Her professionalism, knowledge of real estate, and friendly attitude with courtesy was refreshing. “Dawn made the entire Listing Process go smoothly. She understood our Needs and she Represented our Best Interests in ALL of the Negotiations”. 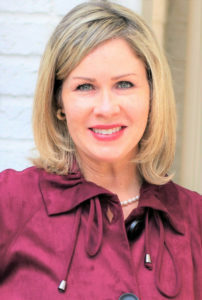 “In a difficult real estate market, Dawn Faulkner is the agent you want to sell your home. She is great to work with and her marketing strategies are excellent. Dawn believed in the value of my home. With her as my agent, I received a price far higher than I would have if I had selected any of the other realtors I had interviewed”.